Increase intercultural awareness and competencies for traveling abroad and living among culturally diverse populations. This guide will hopefully help you become more aware of different cultures and get started on building competencies. Keep in mind that increasing knowledge, building skills and shaping attitudes to communicate effectively and appropriately with others is an ongoing engagement with many different aspects to consider. This subject of cultural awareness and competencies includes a variety of terms, such as intercultural (interaction between at least two different cultures), intracultural (within the same culture), cross-cultural (comparing cultures), and multicultural (more than one culture). Cultures are not necessarily divided by political boundaries, so intercultural communication is also distinct from international communication. For more information, view Igor Ristić's Intracultural, Intercultural, Cross-Cultural, and International Communication: What’s the Difference? article and UNESCO's Cultural Competences PDF. Please note that the resources recommended within this guide may not reflect the University of Michigan or the library's position. Although they will represent a particular perspective, often Western, with varying levels of sensitivity, they should help you understand and respect some aspects of another culture without overriding your own values. Nonetheless, these resources will make generalizations, so it is important to keep in mind that every person thinks and behaves differently. Keeping an open mind and adapting accordingly to specific circumstances may be helpful. Interested in learning more about open-mindedness? Take a look at How to Be Critically Open-Minded: a Psychological and Historical Analysis (ebook). Why is intercultural awareness important? The University of Michigan has a large international and interstate population, as demonstrated by the enrollment map below. You may encounter people with different customs and values that may affect communication and mutual understanding. Your cultural knowledge, sensitivity and competencies will help you interact more respectfully with others in a culturally diverse community within the U.S., or abroad. Knowing about the local culture of your destination may also help ease anxiety and shock, making your travels more enjoyable. Online training resource with units and sections for learning about the concept of culture and how skills, attitudes and behaviors affects adaptation to a new and unfamiliar environment. This interactive online course outlines what to do and expect before, during and after going abroad with many videos. Upon completion of the course, you can receive a 'Global Scholar Certificate.' Registration required. Visually appealing, short PDFs with simple suggestions for Americans traveling or working abroad. U-M's project website dedicated to helping students traveling abroad to learn how to cope with culture shock, stress, loneliness and more. Click on 'Self-Assessment' to take an online mental health screening. Ready to explore? Click on a tag below. Or, view resources by category here. Imagine a land where the racism we know today doesn't exist! This satirical book will show you through funny ironies how the U.S. can become more inclusive. Exotic and weird foods around the world. Travelogue: Humorous anecdotes of America and its citizens from a British traveler and literary critic. This book argues and defends why critical open-mindedness is beneficial to human cultural progress using witty examples. Portal for international opportunities and resources. Webpages and resources for study, work and travel abroad, as well as life in the U.S./Ann Arbor for international students. To improve intercultural competencies, communication and leadership skills, consider applying for the Intercultural Leadership Seminar. LSA-affiliated study abroad programs, courses, scholarships and tips. 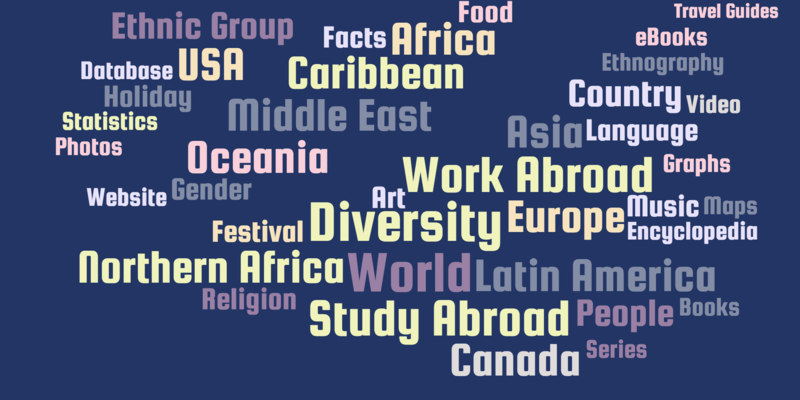 Find courses at U-M on the Intercultural Learning page. Portal to apply for study or intern abroad programs. Submit feedback on Google Form. This research project was completed by Sheila Chan as part of the Michigan Library Scholars summer internship at the University of Michigan Library.